Since the group of ITN Fellows wasn’t originally a community, one of the goals of the Project is building it into one. By developing different workshops and training courses, the ESR’s have been able to better know each other and their topics. But those work meetings are not enough when considering community; some kind of daily coexistence was needed. Accordingly, the PIMIC project proposed “secondments”: a period of time reserved for the students to stay in the same city, study at the same libraries, attend the same conferences and discuss the same books. PIMIC Project aims to create a new generation of PhD fellows, qualified to develop their scholarly work from groundbreaking perspectives and by means of a comparative approach, but also equipped to respond to new social, political and cultural challenges. PIMIC PhD’s will be able to communicate their results to a wide array of audiences. By insisting on a comparative element within the individual research topics. By developing ideas within a collaborative as well as comparative scheme. By emphasizing communication, integrating work with Private Sector partners. Therefore, training is essential, and the quality of the programme is consequently the main concern of the project. On the one hand, the coordination of a wide-range of scholarly works at pre and post-doctoral level articulates a common research programme. On the other hand, PIMIC assures the best possible academic supervision and scholarly training in both their host institution and through the network of scholars provided. In addition, PIMIC project has developed the most innovative network training for both Early Stage Researchers (ESR) and Experienced Researchers (ER) by using multidisciplinary and intersectional techniques. Network training program is articulated trough a programme of training workshops and secondments. 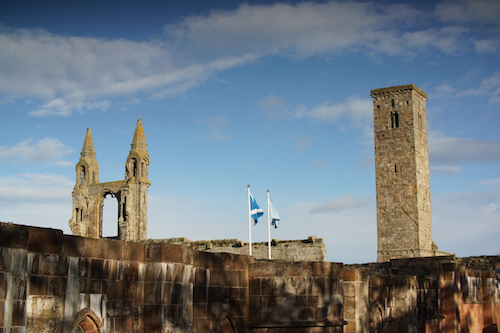 On 28-30 October 2013 the University of St Andrews hosted the opening workshop of the PIMIC ITN. 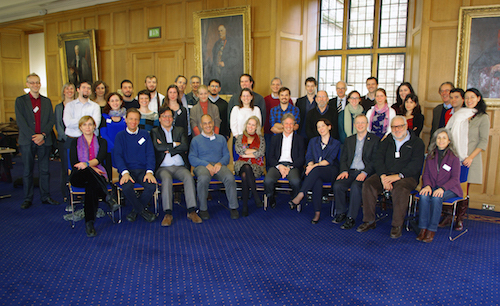 Scholars and postgraduate students from Europe, Israel, and North America met for a training course on Sources and Source Criticism, held in the University's Parliament Hall. Present were the Partners, the Fellows, and various associated scholars. Sessions were held on Record Sources (led by Tim Greenwood and John Hudson); Narrative Sources (Rob Bartlett and Eduardo Manzano); Archaeology (Hugh Kennedy and Alessandra Molinari); Lawbooks (Magnus Ryan and Bernard Stolte); and Literary Sources (Gadi Algazi and Steve White). The Project’s postgraduate students (from New Zealand, Argentina, Russia, Finland, the U.S., U.K., Germany, and Italy) also presented outlines of their PhDs and introduced a discussion of notions of Institutionalisation. Collaborative working methods were developed amongst the participants in the project. Fellows met with administrators, a Supervisory Board meeting was held, and a workshop on PhD writing was given (Roberta Cimino and Kate Gilbert). The first PIMIC workshop was an extremely useful experience. While the workload and expectations placed on the ESRs were high, the challenges of the various seminars pushed us to reconsider the theoretical basis of how we approach our research and how we will tackle the themes of comparative history and institutionalization. In particular, dividing the seminars into different types of sources provided an opportunity to come to grips with various genres of texts that we would otherwise never have used, and the expert introductions by leaders in the field were extremely valuable. The presentation of various genres of texts in a comparative fashion across different regions and time periods allowed us to explore the commonalities and differences, and consider what factors pushed these developments in different areas. The opportunity to work with the other ESRs, ERs, and academics involved in PIMIC was, in our opinion, the most valuable aspect of this workshop. We found the discussions within the various seminars very stimulating, especially when tables of ESRs were paired with one or two experts in the field as it allowed us to bring our own perspectives to the debate in a less intimidating environment and build our confidence before contributing to the larger group discussion. The group presentations on how to define an institution were thought provoking, and although it raised more questions than it answered, we valued the chance to discuss this theoretical concept with other ESRs. Although the workshop as a whole fostered collegiality with other Fellows and supervisors, and provided an intellectually stimulating environment in which to examine the nature of institutions, there were a few elements that we think could be reconsidered. In particular, practical discussion of how sources might be applied to our research proved more productive than more general discussions of differences between disciplines. However, in the best sessions excellent lecturing was combined with probing and complex discussions. The PIMIC conference in Rome dealt with the matters of legal and social studies, and how to unite these different fields together. The conference brought together various specialists from several universities around the world to vivify the conversation and present different ways to approach these issues. Thanks to the conference´s wide attendance, the debate covered nearly a millennium of medieval history with varying topics, such as the Viking kingdoms, the Lombard Italy, Fredrick II, papal penitentiaries, and villages near high medieval Verona. 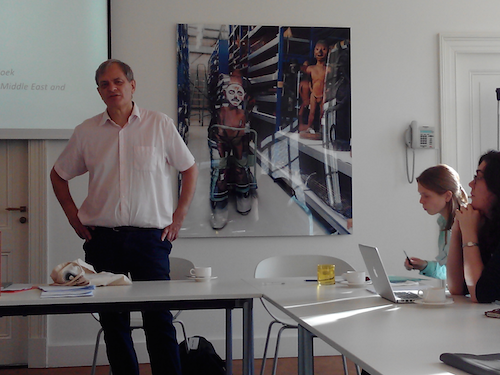 The conference opened with Stephen White’s talk about Conflict, Law and ‘Dispute-Processing’. The entering talk thereby brought up a third source-type besides those legal or social: Literary sources turned out to be innovative sources for the study of legal and social questions. This paper was followed by Emanuel Conte’s (legal historian) and Sandro Carocci’s (social historian) joint presentation (Legal and Social Aspects in Context: Serfdom) of legal documents from the period of Fredrick II (1194-1250). A special institution and its referring sources were thereby investigated as a legal and a social institution alike. The talk by Massimo Valerani investigated the topic of Strategies of litigation without legal rules? The myth of settlement of conflicts "as social institution" on the meta-level of historiographical shifts and their ideological groundwork determined by their Zeitgeist and academic positions. Sara Menzinger focused on the learned discourse of a specific aspect of medieval cities’ administration: Fiscal theories in the Italian communal cities of the 12th century: a debate with Late Antiquity. Again, Caroline Humfress focused on the connection of legal and social history on a broader scale, combining close reading of late antique source material with pondering the usage of contemporary social and legal theories for writing medieval history (Law in Society? Thinking through texts and contexts). While open discussions followed the presentations of the professors, four of the PhD students (early stage researchers = ESRs) profited from a possibility to present parts of their research under the heading of “legal and social history.” They received comments from two discussants, those of a PhD student followed by those of an experienced researcher/professor on their topic, Evgeniya Shelina presented impressions from her research on The Norwegian concept(s) of Power and its (their) terminology. She highlighted the process of translation between the Latin and the vernacular power terminology focusing on the translation of the term regnum. Tommi Lankila presented a paper on Saracen mentions in the chartulae of Cava de' Tirreni, which explored legal material dealing with Saracens from the archive of Cava de’ Tirreni and how to use such material for the social study of the region of Salerno. Jasmin Hauck gave a talk on The social representation of legal knowledge: Scientia and ignorantia in the registers of the papal penitentiary. 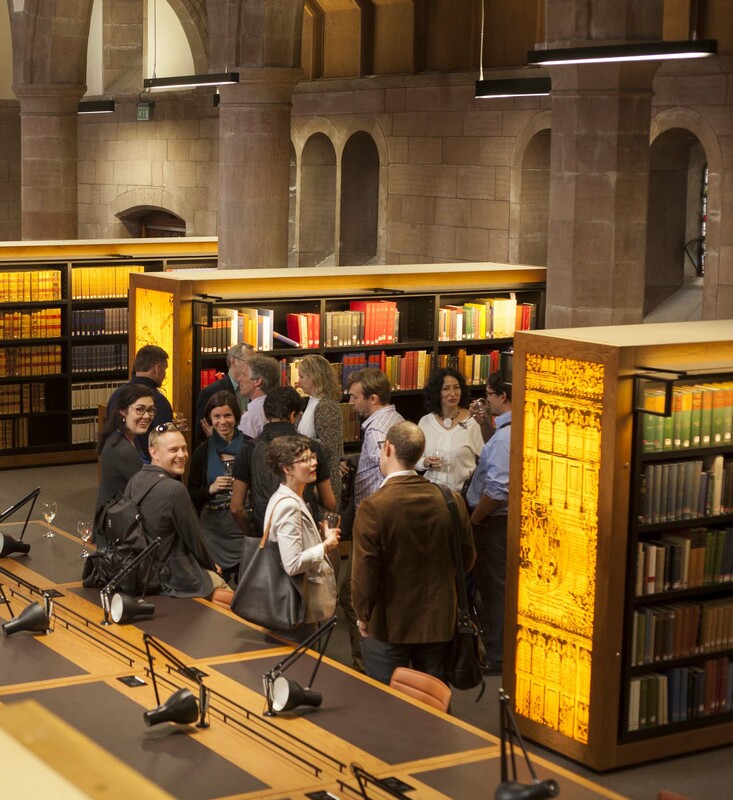 Starting from the terminology of knowledge in her sources, she shed light on the medieval lawyers’ ambiguous relation towards antique legal texts as an authoritative reference and their awareness of a changed social reference framework. Attilio Stella aimed at connecting kinship analysis and conflict settlement in the legal arena. He presented family networks as an explanation for the course of legal procedures between diverse institutions. The Settlement of Disputes in High Medieval Manors. A Case Study from Northern Italy. 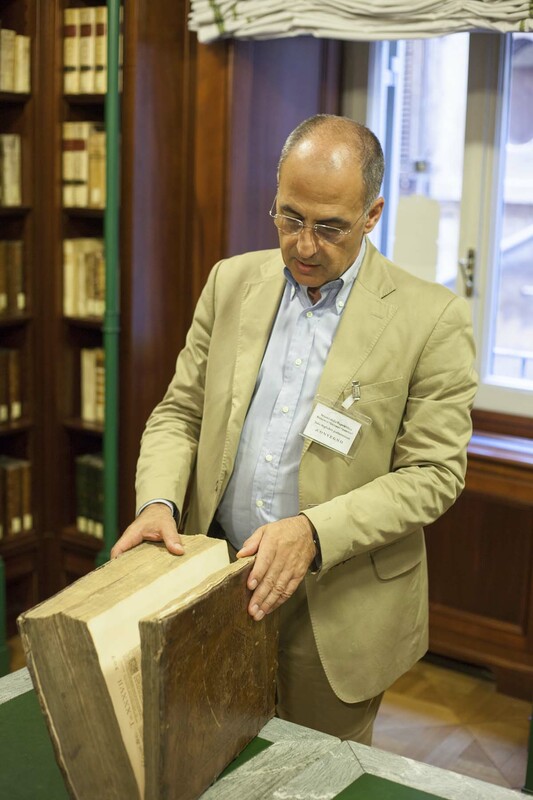 Besides the official part of the conference, a guided library visit to the Senate Library was introduced as both a rich fundus of legal sources and an institution that has grown in the atmosphere of the Italian national movement, being itself an interesting object of the entanglement of legal and social history. One evening session was dedicated to the presentation of administrative issues by Laura Rodríguez and Paul Sturtevant, such as the ESRs Presentations on the International Medieval Congress in Leeds (2015) and the Introduction of the Media School. 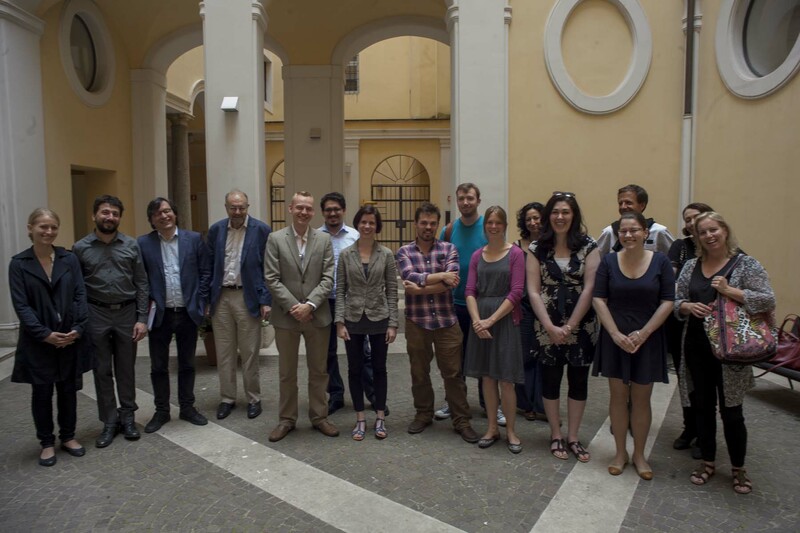 The Roman conference was an excellent avenue for the ESRs to widen their perspective settling sources between legal and social models of interpretations. A fundamental concept was the mixture of advanced researchers’ broader-view presentations compared to the more focused presentations of the ESRs. The modes of the ESR presentation and discussing were active ways of creating focused works parting from this heuristic twofold-model. The expert and open discussion session was giving feedback to their works and developing towards more general questions linking the medieval Islam and Christendom. In June 2014, the University of St Andrews hosted a PIMIC workshop focused on the dissemination of academic research through new media. The workshop featured a variety of practical sessions as well as presentations on the various methods of communication with the public. University of Glasgow Prof. Stuart Airlie offered an academic’s perspective in his paper “Percy Ernst Schramm goes to the movies: Aspects of Medieval Modernity”. Lopez-Li Films, one of the PIMIC private partners, spoke about documentary production and how to bridge the gap between the filmmaking industry and academics. David Hendy gave a fascinating presentation, titled “Doing History on the Radio”, that explored the process of pitching, writing, and producing a BBC radio serial. A great deal of time was devoted to instructing the Early Stage Researchers (ESRs) on the practical skills needed to engage with new media. Dave Musgrove, from BBC History Magazine, spoke about the elements of a successful history podcast. 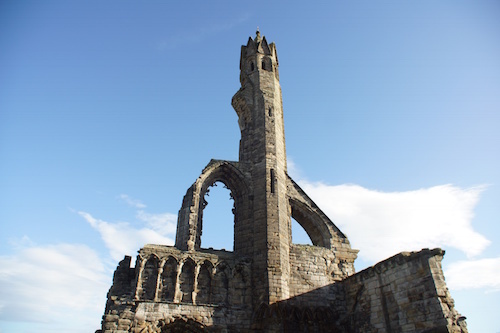 Andy Eccles, IT officer at the School of History, provided hands-on instruction in podcast-recording software, and University of St Andrews lecturers also instructed the ESRs on blogging and creating a web presence. Greg Hitt, VP of Corporate Communications at Walmart, finished off the workshop with a session about communicating with journalists and politicians. The opportunity to engage in practical sessions and learn about the broader communication of research provided the ESRs with a useful set of skills to use in their future academic professions. This workshop, with its presentation of the many and varied ways to engage with the wider public, provided a valuable reminder of the importance, opportunity and rewards of disseminating new historical research widely outside of academia. Over two days, Brill academic publishers hosted PIMIC at a ‘Publishing school for historians.’ The workshop aimed to introduce the students to the world of academic publishing, providing them with practical knowledge and endowing them with the skills and understanding necessary to promote positive relationships between scholars and publishers. It is hoped that, by familiarising the students at this early stage, they will be better informed when they come to interact with publishers and will have a clear understanding of the processes and issues involved, from the publishing perspective as well as from the author’s perspective. The workshop sessions focused on four different publishing products: books and book series, reference works (including online), journals, and primary sources (including digitisation). The workshop participants were first introduced to the product by a Brill editor, with the process of setting up such a product, and the issues and considerations from the publishing perspective outlined. The participants then broke into two groups to work on a series of case studies. These aimed to encourage the participants to ‘think like a publisher’, using a sample proposal as the basis; the students were asked to discuss and critique the proposal, taking into account issues such as logistical requirements, financial considerations, academic content, likely audience and market, and opportunities for further development. These sessions were felt to be useful; the students came away well-informed and with a more rounded view of the academic publishing process, and the sessions also gave rise to some interesting discussion of bigger issues in publishing today, such as possible future online developments, the Open Access movement, and the changing role of publishers in academia. We also enjoyed two excursions as part of the workshop. 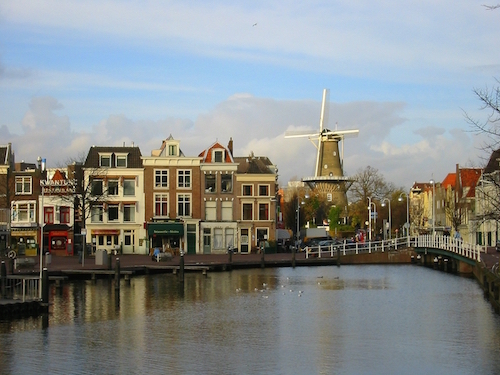 As a complement to the session on primary sources and digitisation, we were hosted by Leiden University library, where we learnt about the history of the Vossiani Latini collection of manuscripts (currently being digitised by Brill), were able to view some of the highlight manuscripts, and heard about procedures of digitisation within the library. 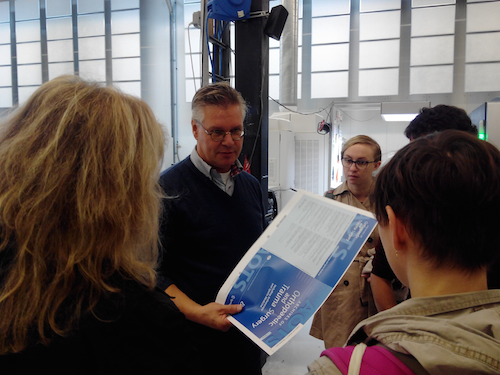 A highlight of the workshop was the excursion to Printforce: a print-on-demand factory which prints around 10,000 unique books per day. After a talk on the history of printing and some information about the company, we were given a fascinating guided tour of the factory at work, with all the automated machines explained and the processes demonstrated for our benefit: from the printing of the innerworks, the binding and the production of the hardcovers, all the way through to shipping and postage. The efficiency of the operation was very impressive. The workshop was rounded off by a plenary session, with talks given by two publishers from outside Brill. Simon Forde (formerly Brepols, now Amsterdam University Press) took commercial publishing as his topic, and drew attention to the sorts of issues that first-time authors should consider when submitting manuscripts for publication; several of the students commented that they had never considered how important issues such as brand recognition, pricing structure, and editorial relationships were with regard to academic publishers. Anniek Meinders (Leiden University Press) then gave an interesting insight into the challenges and opportunities of setting up a publishing list in a recently-established university press. Overall, the workshop offered something different to the previous more academic PIMIC gatherings; although perhaps not as immediately, obviously relevant to the early stage researchers as a more traditional academic conference, the workshop provided them with a solid grounding in academic publishing, an area which initially can be confusing, which should stand them in extremely good stead for the future. The Media School has been an extraordinary experience, not only for the twelve ITN Fellows that took part in it, but also for the lecturers involved: results have been “astonishing”. The school ultimately aimed to provide trainees with practical knowledge, focusing on the requirements of the audiovisual industry and the needs and expectations of a challenging target audience increasingly interested in historical knowledge. For this reason, the first installment of the course can be considered a success. This first installment of the course can be considered a “useful success”. On Monday, December 1, the Fellows met at the Centro de Ciencias Humanas y Sociales - CSIC of Madrid, equipped with tech-material and curious about what they what they would discover in the following days. Film Producer Antonio Saura Medrano gave the first lecture at 10 a.m., aiming to solve the ITN Fellows´ most basic doubts and questions: what to work on to December 12 and how to use the camera. Following his answers was a 20-minute presentation entitled “Documentary and Society”. Here, A. Saura guided the audience through the controversial idea that it is not possible to maintain objectivity while making a documentary. Taking advantage of this first attitude ITN fellows were invited to share their plans for the media project by writing a sketch for the following day. After lunch, Filmmaker Gonzalo Ballester began his sessions, helping the participants set up the camera to better understand different recording options. During the second day of the course, A. Saura decided to start dealing with “writing issues” concerning movie making. Therefore, on January 2 he told the ITN Fellows about “How to Write a Documentary”. Prior to any work a filmmaker must ask himself: “who is going to be my primary target?” because according to A. Saura, screenwriting is all about finding a voice. Once the main opinions were provided and some screening examples were given, the students began to discuss their suggestions with the professor. Some wanted to know the risk of making the first act of a documentary “too long”, while others proposed the idea that not every documentary must necessarily have a moral or political position of its own. The end of the day held remarkable participation of the ITN Fellows once the screening of some pieces of Medieval and non Medieval History documentaries was made. The Fellows wanted to know how to start shooting, and when to decide between a short, quick shot and a long, slow one. Professor Antonio Saura gave a wide array of examples from interviews in order to demonstrate the smart choice while shooting testimonies. Professor Gonzalo Ballester closed the journey by providing a useful clip on the most basic camera shots they could start with and a feasible “setting-up” exercise to better handle with the cameras and micros. All the students were invited to create their own shotlists prior to the first day of recording. Little did they know on day three, the amount of information suggested for progression was immense: once the students sent the lecturers their abstracts, they were all carefully double-checked and questioned. It was going to be the first day on “Editing Workshop” and everyone was excited. Professor Sara Azcona, a computer engineer with plenty of professional film editing experience, opened the workshop clear about detail: editors must be careful when saving documents and creating folders. Everyone got the message. A number of hours followed with doubts, errors, mistakes and questions that first day in the Editing workshop. Then, on the fourth day of the course, Professor Carlos Saura Medrano came to join the group and helped participants with their doubts. The three instructors guided the ITN group, patiently attending to their suggestions. They would have never believed the amazing results they would receive at the end of the week. That fourth day was also marked by Antonio Saura´s morning session dedicated to the process of “Watching Documentaries,” and to the composition of the shots when shooting the film. After the three-day-weekend (following the Mid-Term review on Friday the 5th), the ITN Fellows had recorded enough audiovisual material to use during the last week of the course. Each day was divided into different “Editing Workshop” sessions in the morning and pitching arrangements during the afternoon. The hard working ITN group was invited to take a guided tour through the CCHS Library on Tuesday at midday. The Archives were opened for them. Drawn through the peculiar corridors of the building, they were prompted to ask for more details regarding the periodic publications and digital documents available. The Final Pitch Session came on Friday the 12th. The students exposed their works during a 10-minute presentation and screening of each clip. Each gave the audience a positive surprise, particularly in regard to the careful music selection. Every three-minute Historic clip received a deserved ovation and the lecturers, headed by Director José Luis López-Linares, provided feedback and suggestions for the students´ following work. The group was summoned for the Second Installment of the Media School for Historians, in April 2015, and nobody could deny their great expectations for that moment. What should you expect when you’re expecting a great success? Since the first installment of the Media School for Historians on December 2014 was a helpful experience for the participants, we all wanted to repeat such an extraordinary adventure and we failed: this one got to be even better. Committed to the general idea of delivering a short piece of documentary and understanding the “life of a movie”, the ITN fellows worked hard on their subjects and their translation to the screen. Sarah Greer ESR3. 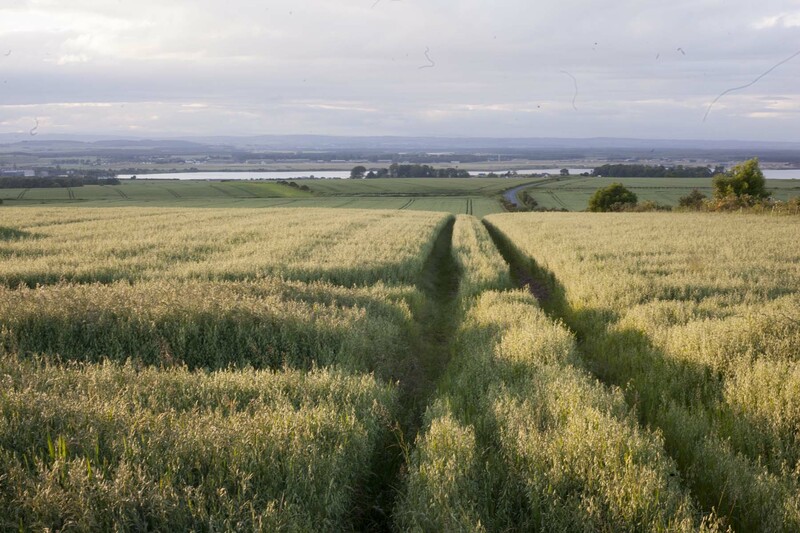 University of St. Andrews (UK) from PIMIC on Vimeo. The “Media School for Historians 1” provided an introduction to video creation, through script writing, recording, editing and pitching. The twelve ITN Fellows had all developed an interesting product from scratch, which later became a trailer of what would be their future documentary. Now, four months later, they confronted a new challenge: To work on their footage and “sell” a definitive 10-minute documentary to an ideal prospective buyer. As the proverb says, “no pain, no gain,” and after the first week, many students experienced plenty of pain working on their clips. Adrián Viale. ESR9. Université Paris 1. Panthéon Sorbonne (France) from PIMIC on Vimeo. The first Thursday was a sort of meeting point for the CCHS CORPI Project members and PIMIC Fellows: Professor Eduardo Manzano brought them together to give a paper on contrasted Islamic and Western Medieval Institutions. The morning happened to be full of useful information for Medievalist researchers. It was followed by a thematic lunch, where people shared opinions and perspectives over the relationship between law and politics while coexisting with religion, both in West and Islam cultures. One of the main characteristics of this second course has been the variety of participants on each session. Spanish Film Academy Award winner Ruth Gabriel conducted a workshop that helped the ITN fellows properly present their research subjects; through four sessions recording sessions, the students gave their discourses, and afterwards, received edited clips to fix their mistakes in the future. Meanwhile, the Marketing Online specialist, Miguel Cuesta, provided a wide array of techniques to work with audiovisual material uploaded to Internet. Working in six groups, the students watched a sample minute-long video clip and learned how to apply some SEO techniques to find visits to a particular website and be positioned first on top of the list. The students worked under considerable pressure, but still managed to deliver an excellent, short documentary clip during the last Thursday, on April 30. This was thanks to the speeches by Jon Andión (Head of Business & legal Affairs at Morena Films) and Antonio Saura (C.E.O. Latido Films) who shared their experiences as a lawyer and a producer in the film industry, respectively. All were nervous on pitching day; teachers and students were seated, the camera recording their surprisingly confident speeches. After the presentation of their work, José Luis López-Linares, Ruth Gabriel and Antonio Saura commented with their impressions and gave some advice for future projects. Over one morning at the end of the International Medieval Congress at the University of Leeds, Brill and PIMIC hosted the second iteration of the ‘Publishing School for Historians.’ Entitled ‘An Introduction to Academic Publishing’, the workshop aimed to demystify the world of academic publishing by offering the students practical advice on different forms of publishing, from both medievalist scholars and editors working in academic history publishing. The workshop comprised three sessions. The first focused on writing a book proposal and turning the thesis into a monograph, and was led by Alaric Hall (University of Leeds). The session began with an individual task – writing a mock book proposal in 20 minutes – before Alaric gave a talk based on his own experiences, and feedback from the book proposal task and a question and answer session rounded off the session. The second session focused on publishing a journal article, led by Katy Cubitt (University of York). Katy began the session with a journals brainstorm, before delivering a talk full of useful advice on the subject, followed by Marti Huetink (Brill) offering the publishers’ perspective. The third session looked at putting together an edited volume, led by Jonathan Jarrett (University of Birmingham), comprising interesting talks by Jonathan (academic perspective) and Simon Forde (Amsterdam University Press / Medieval Institute Publications), on the publishers’ perspective, before a general question and discussion session, and conclusions by Ana Rodriguez, rounded off the workshop. The workshop was praised by attendees, and the reaction on social media was particularly positive. Hopefully the workshop provided the participants with a solid knowledge-base for future academic publishing ventures, some useful tips and tricks specific to publishing in medieval studies, and also an awareness that academic publishing is, at the moment, an ever changing field – with new possibilities but also new problems abounding, there is not necessarily a consensus yet on best practice.